Hi, I'm Keli, an OFSTED registered childminder in Great Moor (close to Stepping Hill, Stockport Grammar and Great Moor School). I offer a home from home setting and aim to bridge the gap between home and school for early years children :-) I foster a nurturing environment where the children feel safe to learn and play as they grow. I am focussed on the Early Years Framework and use a unique on line tracking system for development, so all parents receive their own password for secure access to their child's personal portal. I also frequently send photos and updates to you via WhatsApp during the day. Originally from a corporate management background, I retrained as a childminder in 2015 and now run my own successful childminding business. Drop off / pick up / school club slots for Great Moor School. 2 and 3 year funded places also available and easy to set up. Below are the latest reviews for Kelis Little Gems. Please note that reviews represent the subjective opinions of other Childcare.co.uk users and not of Childcare.co.uk. Parents must carry out their own checks and references on childcare providers to ensure that they are completely happy before enaging in the use of their services. Keli is simply brilliant, our Son has been going to her 3 days a week for the last 9 months and absolutely loves it. He’s so well looked after, it makes it so much easier as a parent to be able to leave your child knowing they are settled, happy and in great hands. Keli looked after my 2 daughters amazingly well. They had a fabulous time while they were there and loved spending time in her place with the other kids. There was always loads of fun activities for them to do and I always felt they were completely safe and happy which is all you need. 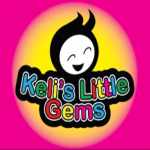 Thoroughly recommend Keli’s Little Gems, an excellent childminder. My little boy absolutely loves his time at Keli's. He is always happy and smiling when we drop him off, I guess that's because he is looking forward to the fun filled day ahead! Keli provides a home from home environment and provides healthy meals and snacks, educational opportunities, indoor and outdoor play and lots of opportunities and support to develop good interpersonal skills whilst playing with the other children. The extra activities also enhance the fun and learning experience, such as visits to the library, growing vegetables and flowers in the garden and the 'Theatre Tots' lady that visits weekly. I feel very happy that I am able to go to work knowing that my little boy is being wonderfully cared for. Very focussed on teaching and always provides a variety of learning activities including Theatre Tots, weekly trips to the library and building their own allotment. Food at her setting is incredibly healthy & varied. She has tonnes of exciting resources and is dedicated to child development. Keli works closely with each child and their parents to ensure their learning journey is the best it can be.